A vise is rarely one of those tools where we expect kids might get hurt. Typically a vise is more of a safety feature than a risk. You want kids to get in the habit of securing their workpiece in a vise rather than trying to hold it by hand. Other than a workpiece slipping out of the vise, the other risk is the PINCH that can come from the vise handle catching a little bit of skin between the end of the handle and the hole where the handle resides. 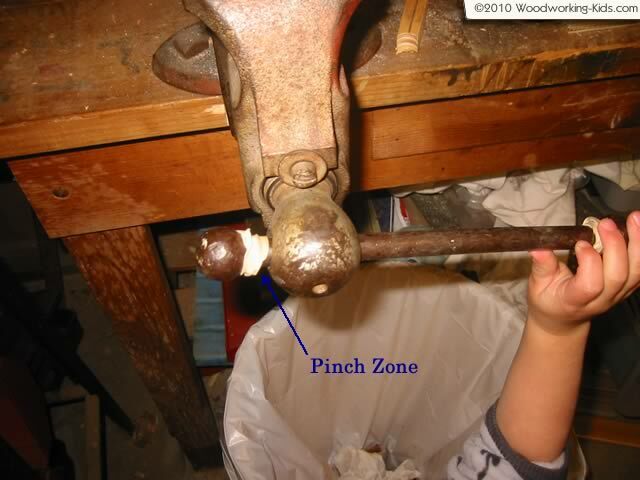 The best way to keep the fingers of a kid or even an adult out of the pinch zone on a vise is to not let them get in there. 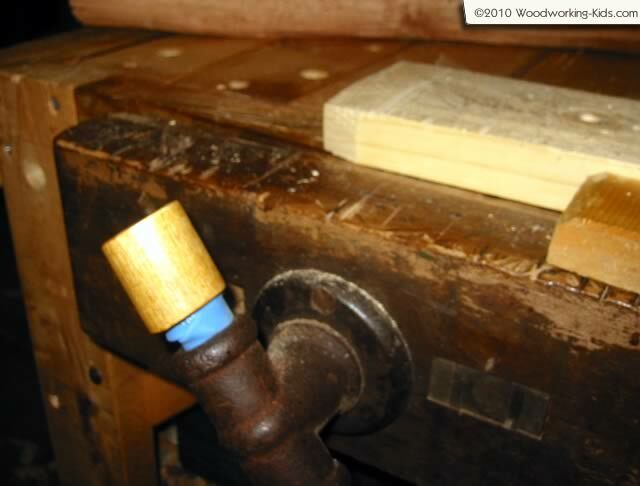 A rubber band wound around each end of the vise handle will keep flesh from getting pinched. The rubber bands that I have found work the best are the fat blue ones that hold bunches of broccoli together. They last longer and are thick enough to keep little fingers and big from getting pinched.